If you mix root beer and ice cream, you're about to drink a delicious root beer float. If you mix beer and ice cream, you're much smarter. Turns out, there are all kinds of incredible flavor combinations you can make using different beer styles and flavors of ice cream (or gelato or sorbet!). To help you sweeten up your next pint, we turned to food/drink-pairing expert Jensen Cummings, a Colorado-based Certified Cicerone and founder of Brewed Food. 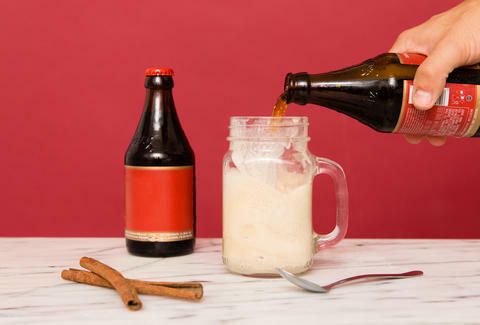 Get ready to raid your freezer and your beer fridge, and put together these beer floats. 1) "Start by selecting a beer that has residual sweetness. 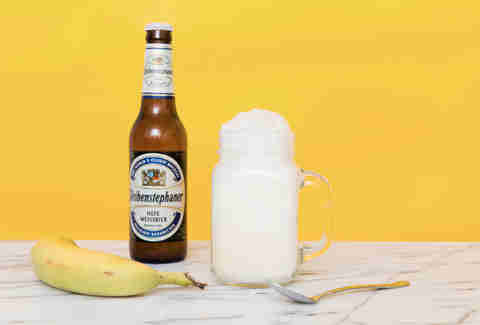 Beers that finish too crisp, dry, or bitter without a hint of sweetness will clash with any assuredly sweet, frozen goodness you add to your float." 2) "The pairing principle most crucial in selecting your beer and [ice cream/sorbet] is 'matching intensity.' The more intense the flavor profile (and higher ABV), the stronger the flavor of your [ice cream/sorbet] needs to be. Don't try and counter-balance intense beer with softer flavors to contrast, [which is] a common beer-and-food-pairing approach." 3) "This next key is simple -- do not use ice cream or sorbet with floaty chunks and bits in it. Just don't!" 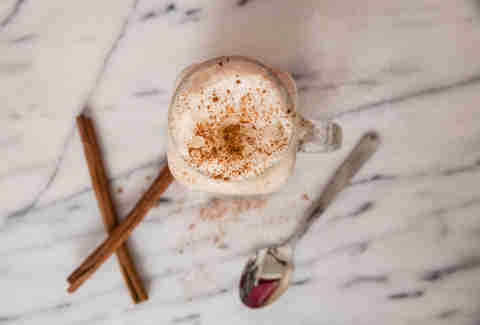 4) "Texture and temperature variance is paramount for a great beer-float experience. You want to be dropping a frozen 'brick' into your beer. Oozy, melty, soft frozen dairy/fruit is like a poorly mixed White Russian, with no discernible transition between cold and really cold." 5) If you're wondering where the heck to find all these seemingly bizarre ice cream or gelato flavors, Talenti makes a fair amount of them, and should be in your local supermarket. Or pick up some from your local ice cream/gelato shop. Here are some of our favorites across America. "Coffee is a flavor profile naturally found in imperial stouts. So it's no surprise that the first combination that jumps out at me is clearly obvious, yet undeniably delicious." "Chocolate-covered cherries are a perfect little bite of decadence. Evoking that experience in a float just makes too much sense to pass up. Kriek and chocolate ice creams both vary greatly -- keep the 'matching intensity' principle in mind with your selections. For Transatlantique, a milk chocolate plays well." "Once again, reinforcing natural flavor dynamics like the banana notes coming from hefeweizen works well in a float. Banana sorbet is nice because it has natural creaminess and prominent banana flavors, but no additional dairy." "IPA is the most popular beer style in craft beer and the most tricky to build a float upon. Competing against lingering bitterness is the key. A version with residual sweetness [is what you want], and the overtly sweet blood orange sorbetto (sorbet with the addition of a small amount of dairy) balances out the bitterness nicely." 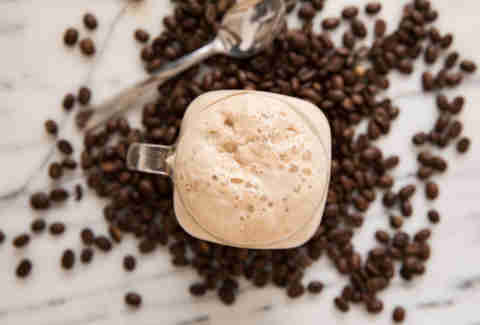 "Malt, Belgian candi sugars, and natural spice notes with the perceivable alcohol of this beer take [on] a spiced and powerful ice cream such as cinnamon, which is one of my personal favorites." "Taking a common adjunct profile like the addition of nut flavorings to brown ales works just as well in a pairing of beer and gelato." 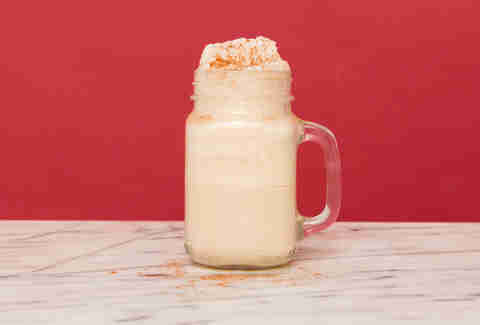 Lee Breslouer is a senior writer for Thrillist, and could go for a Great Divide Yeti float. Follow him to dessert ideas: @LeeBreslouer.